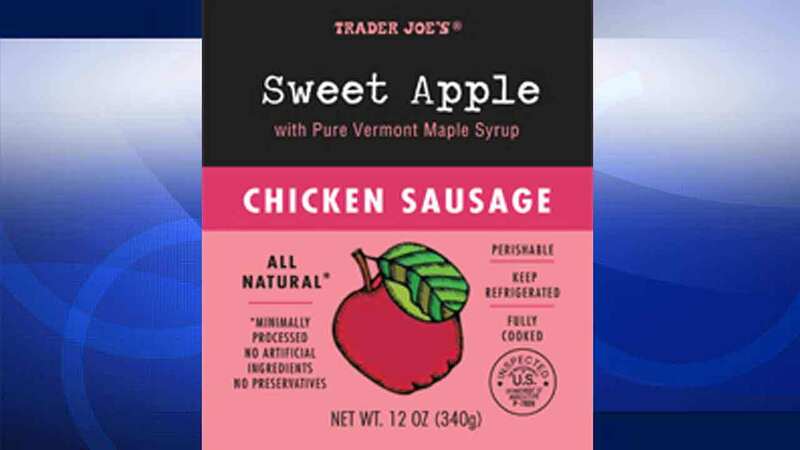 LOS ANGELES -- Trader Joe's is recalling its Sweet Apple Chicken Sausage because the products may contain small plastic pieces. The popular grocery retailer says the products have been removed from store shelves and have been destroyed. The affected sausages have use-or freeze-by dates of April 22, 2015, April 25, 2015 and April 29, 2015. If you bought Trader Joe's Sweet Apple Chicken Sausages with the above date codes, you're advised to discard them or you can return them to any Trader Joe's store for a full refund. Consumers with questions can contact Trader Joe's Customer Relations at (626) 599-3817 Monday through Friday, 6 a.m. - 6 p.m. PT. You can also send the company an email.